Eyewitness: What is so special about the Baby? 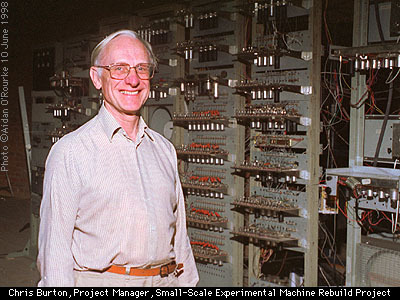 Chris Burton: It was the first computer in the world to be universal - a program could be loaded and executed to do any task. All modern computers are like that. No earlier computer was like that. 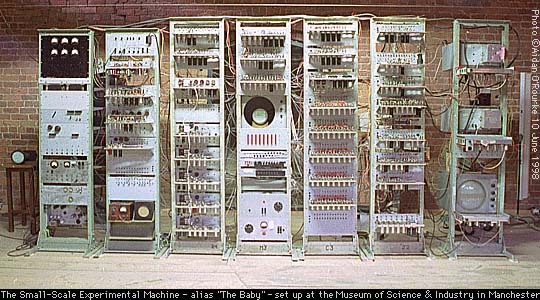 EWM: How powerful is the Baby in comparison to the computers & digital devices of today? CB: In terms of speed, it can do 700 instructions per second. A recent desktop computer can do 50 million instructions per second (megahertz), or more. In terms of storage, it has 128 bytes. A computer of today might have 128 million bytes (megabytes) of storage. A smartcard containing a chip is 4 million times more powerful. EWM: Was the Baby used for real problems, or was it purely experimental? In June 1948 it was purely experimental, though capable of some simple useful calculations. 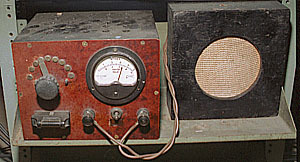 It grew into the Manchester Mark 1 to do original mathematical work by April 1949. EWM: What does the dot pattern on the screen signify? 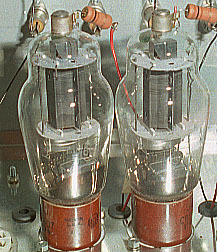 The store, or 'memory' of the machine was a cathode ray tube. 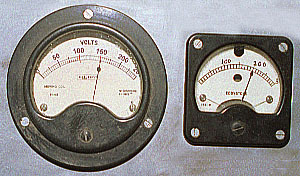 The beam of the CRT could be deflected to any one of 1024 positions on the screen, each of which could be made to store one of two kinds of electrical charge. Each such position represented one binary digit of data. 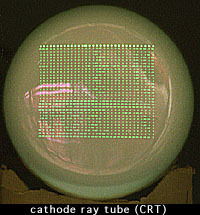 The state of the charges could be seen as glowing dots and dashes on the fluorescent screen, representing '0's and '1's. EWM: How long did it take you to assemble? My team and I have been working on this from early 1995 to June 1998. EWM: Where did you find the components? Some purchased, many donated by individuals and organisations, some fabricated. EWM:How many components does it have and how much has it cost to rebuild it? 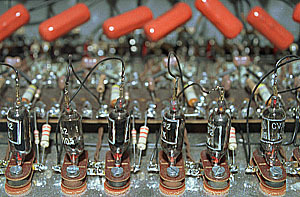 500 valves, 4 CRTs, countless capacitors, resistors, valve holders, terminals etc. ICL have sponsored this to the equivalent of 150,000 pounds. In addition the team has put in about 11,000 man hours of unpaid voluntary effort. If you have any further questions for Chris Burton, please e-mail , and I will pass them on to him. Question: Which well-known British computer company runs the server from which you are accessing this page, and where are they located?